Another version of this article by the same title appeared in The Huffington Post available on their website HERE and on mine HERE. Having already negotiated terms that would leave its entire nuclear-related infrastructure intact, Iran's leaders shifted their focus to securing sanctions relief. Unfortunately, sanctions are America's only insurance policy that Iran will keep up its end of the bargain – and even then it is dubious insurance at best. Absent a credible military threat, it constitutes the remaining leverage at Washington's disposal. 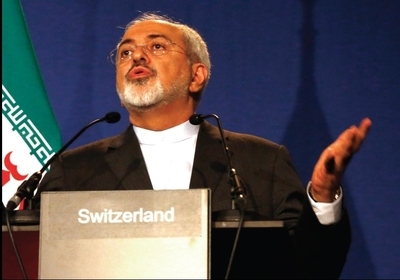 In February, Iran's foreign minister, Mohammad Javid Zarif, bluntly stated "the removal of all sanctions" must be the result of a final agreement. To put a fine point on the matter, Iranian leader Ayatollah Ali Khamenei declared during a recent televised speech, "The goal of the negotiations was to remove the sanctions!" And he wasn't referring to a gradual or phased lifting of international economic pressure; he demanded an "immediate annulment of all sanctions." The United States' position has been that nuclear-related sanctions will be suspended only after Iran fulfills its nuclear-related obligations. To meet that bar, the six world powers known as the P5+1 have argued that Iran must grant international inspectors access to any possible military sites involved in its nuclear program. Only with a thorough accounting of all Iranian nuclear activities will it be possible to verify their compliance during the term of a deal. Indeed, without such transparency, there's nothing to negotiate. The Wall Street Journal recently revealed, ominously, that Iran continues to stonewall the International Atomic Energy Agency on 11 of 12 issues related to its military's nuclear-related work. This, despite the White House claim in 2013 that the interim agreement with Iran would lead to "increased transparency and intrusive monitoring of its nuclear program." The same article also suggested that the US team's response to Iran's evasions on such a fundamental issue was to backpedal and revise their demands downwards. As part of the 2013 interim agreement between the P5+1 and Iran, Washington provided some sanctions relief in exchange for some very modest restrictions on the expansion of Iran's nuclear program. It did so while time and leverage was on Washington's side. The price of oil, which is Iran's main source of revenue, dropped by half and before the White House concessions, the world was united against any Iranian enrichment capacity, with six painstakingly crafted UN Security Council resolutions passed. The issue then was how to transform that unity into a global strategy in pursuit of that goal. THE UNEVEN trade surrendered key American leverage, implicitly recognized an Iranian right to enrich uranium, and in the process, set Iran's economy on a path to recovery. By playing that card too early, the US now lacks a key bargaining chip to offer as an inducement for more necessary Iranian concessions. The Obama administration originally pledged that the paltry sanctions relief provided for in the first six months would only equal $7 billion. Yet, according to a joint report by the Foundation for Defense of Democracies and Roubini Global Economics, total sanctions relief during that period amounted to around $11b. The two extensions granted by the P5+1 provided Iran with a total of $7.8b. in additional sanctions relief. While that was enough to alter Iran's economic footing, it is nothing compared to the financial windfall Iran is set to receive if more sanctions evaporate. To put it in perspective, removing oil sanctions alone would provide Iran with $1.6b. a month, or $56m. per day, according to Iran's oil minister, Bijan Namdar Zanganeh. There is no reason to believe that Iran will come clean regarding its nuclear program if Washington surrenders its remaining leverage. Nor is it reasonable to hang one's hat on the belief that Iran will moderate its behavior if both its diplomatic and financial isolation are ended. That is a recipe for increased corrosive Iranian behavior in a region already sliding under the Islamic Republic's boot. Like any clause contemplated in a deal with Iran, removing sanctions should be behavior-based, not a reward for reversible promises. Despite wishful thinking in the White House, once sanctions are lifted they will never "snap back" because such mechanisms do not exist. Moreover, most US nuclear-related sanctions on Iran – whether passed with Congressional approval or by executive order – also pertain to other aspects of its rogue behavior, and those issues lie beyond the scope of the deal currently contemplated. To avoid a colossal perversion of diplomacy, Washington should seek to keep oil-based sanctions in place for as long as possible and only dole out such relief in exchange for Iran's verifiable compliance.